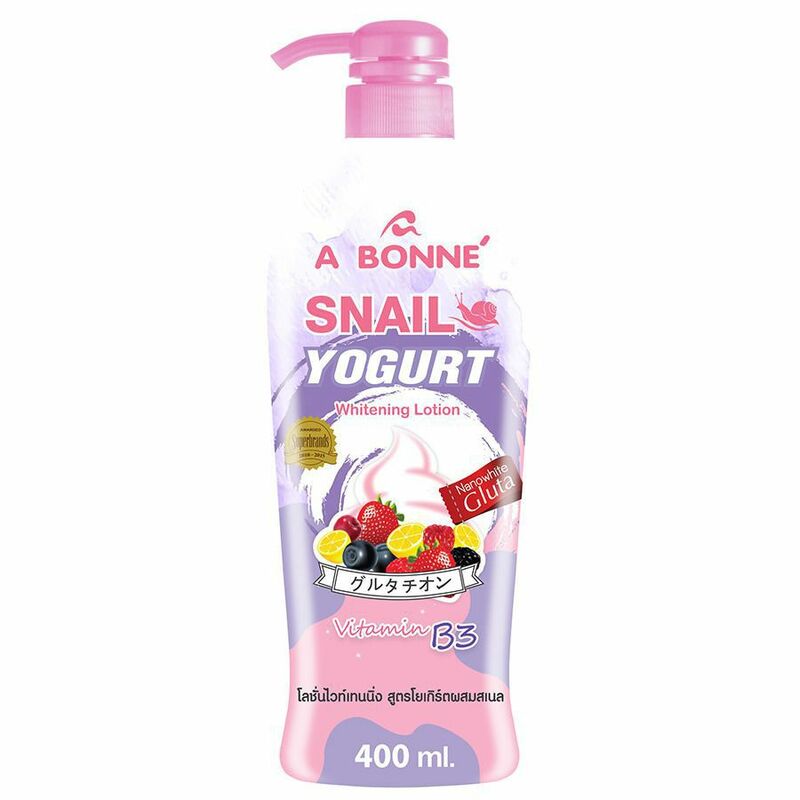 A Bonne' Snail Yogurt Milk Whitening Lotion is a thick and nourished lotion, formulated with Nano White Glutathione, Yogurt Extract, Milk Protein and Snail Secretion filtrate to smoothen and brighten your skin in 14 days. Nano White Glutathione including Glutathione, Natural Arbutin and Vitamin C is triple activities for skin brightening. 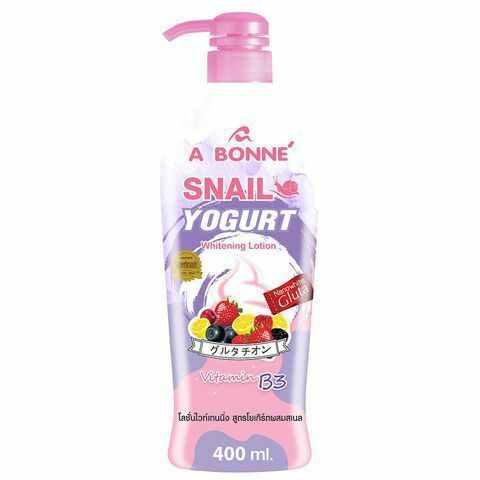 Yogurt Extract contains Amino acids and growth factor, which generate collagen production. Yogurt provides a firming action on your skin. Milk Protein enriched proteins, improves dry skin's condition. It provides intense moisture, boosts skin's hydration and gets beautifully radiant skin.